A Fitted emerald cut wedding band handmade in 18ct yellow gold and filed to fit an emerald cut Art Deco shaped engagement ring. 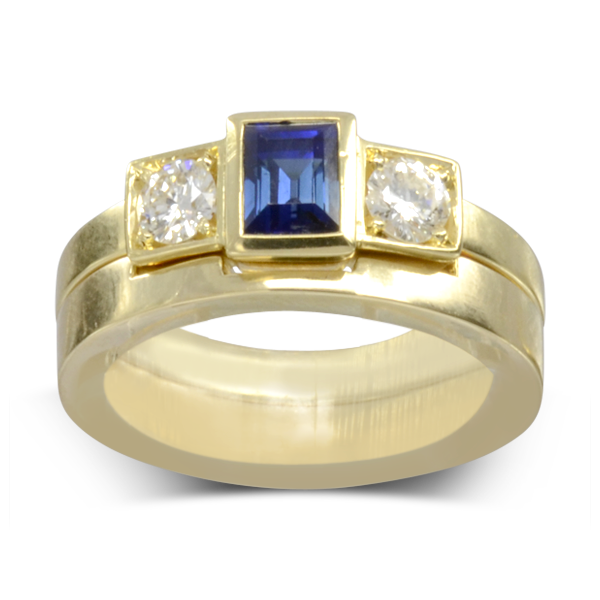 With our handmade bespoke wedding ring making service you can have a band made that will sit perfectly to any shape of engagement ring. 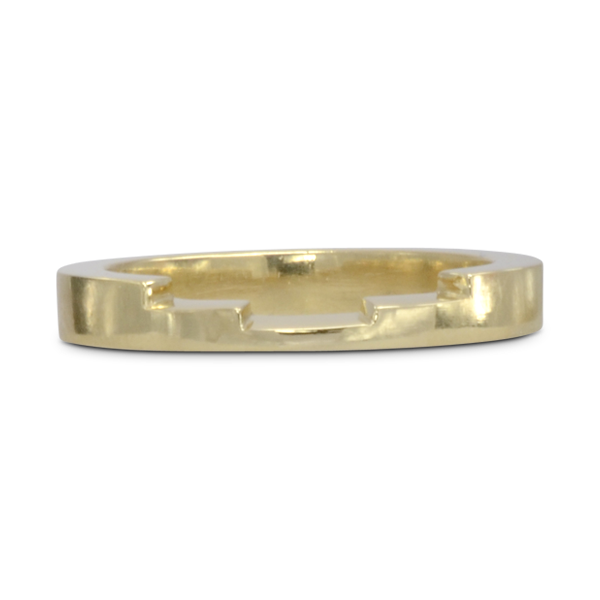 this style of ring can be rotated and looks like a plain flat band when the cut outs are turned to the back on the occasions when you don’t want to wear your engagement ring.